What is eMatrix Sublative RF? Our eMatrix Sublative RF Fractional Resurfacing treatment safely, gently and effectively resurfaces your skin from the inside out. eMatrix Sublative Rejuvenation, by Syneron, is one of the hottest, most revolutionary and affordable skin rejuvenation treatments in today’s cosmetic market for anti-aging and rejuvenation procedures. This FDA-approved skin rejuvenation treatment uses fractionated bi-polar radio frequency to penetrate through the skin, sending more energy beneath the surface of the skin to really maximize collagen production, while keeping the top layer of the skin intact. Clinical trials revealed that 83% of individuals experienced significant improvements in skin brightness and 90% had significant improvements in skin smoothness and wrinkle reduction. What conditions and areas does eMatrix Sublative RF treat? Gradual and cumulative results are achieved during the treatment and post repair; individuals typically achieve optimal results following a series of 3-4 treatment sessions, 4-6 weeks apart. **Mild to moderate downtime may be necessary. The IPL/RF ‘Photofacial is a revolutionary method of photo rejuvenation that combines Intense Pulsed Light with Radio Frequency (RF) to improve your skin’s texture, tone and appearance. The combined bi-polar radio frequency and light energies of elōs technology precisely and safely target pigmented lesions such as freckles, sun spots and age spots. What conditions and areas does IPL treat? Gradual and cumulative results are achieved during elōs™ IPL-RF treatments. Clients achieve optimal results following a series of 3-5 treatment sessions, 3-4 weeks apart. There is literally no down time following an IPL treatment, so you can enjoy your normal daily activities. During your IPL series, you will notice imperfections fade away as a more radiant, healthier and clearer complexion appears. At INFINITY Laser & Skin, we think of our skin care services as a relationship, rather than just selling you a treatment or product. We want to be your skin care partner, helping you achieve the results you are looking for. We highly recommend scheduling a Complimentary Consultation, where you have the opportunity to tell us what your goals for your skin are. Our skin care expert will then help you decide which combination of Skin Rejuvenation treatments and at-home products that fit your goals, budget and lifestyle. 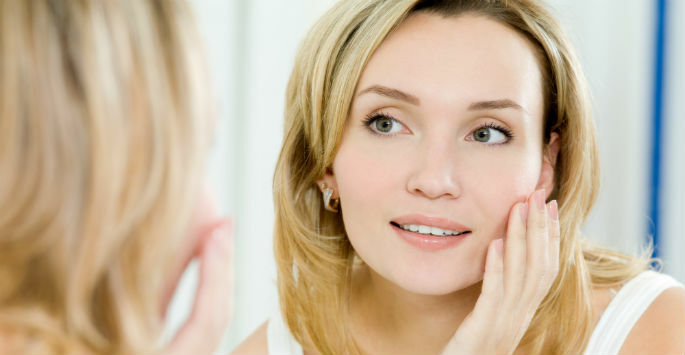 For additional skin rejuvenation services please click here. Call us today at 314.862.1000 to schedule a no obligation consultation to determine if these services are right for you.